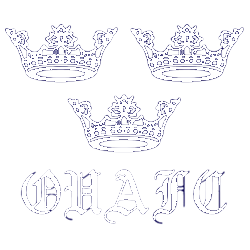 OUAFC are proudly sponsored by CQS. Founded in 1999 by Michael Hintze, CQS is a global multi strategy asset management firm. CQS launched its hedge fund in March 2000 and has since expanded its offering to include additional strategies and bespoke solutions in the areas of multi-strategy, convertibles, asset backed securities, credit, loans and equities. “We are delighted to be sponsoring the Oxford University Association Football Club and wish the teams the best of luck in all their upcoming matches”. Graeme Beveridge, Head of Human Resources at CQS. Lydia, the mobile payments startup, is proud to be OUAFC’s partner for all club payments. 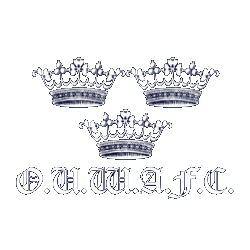 OUAFC will be using Lydia for subscriptions, club tours, and socials this year. One of Europe’s leading FinTech startups, as featured in Forbes and Wired, Lydia has nearly one million users and over 400 partner universities across the UK, Ireland, France, Spain, and Portugal. With the free Lydia app, transfer money securely to friends and pay or events in seconds. When paying friends and family, it doesn’t matter who they bank with – you only need their phone number. We are very proud to be partnered for the 2018/19 with one of the most exciting new start-ups to emerge in Oxford in recent years - OxWash. OxWash is a laundry service designed for the modern era - make your order through your mobile phone and have your laundry picked up and returned to you sparkling clean. At the heart of the OxWash ethos is a commitment to reducing the environmental footprint of the laundry process. Consequently the entire business is run off the back of bicycles which transport the loads from washer to doorstep. Equally the detergents used are all designed to have minimal impact on the environment, meaning that all in all using OxWash is not only an opportunity to save yourself some time but also contribute towards building a more sustainable future. We’re proud to announce that this year we’ve partnered up with Encore Events once again. Encore is Oxford’s largest and longest established promotions company, providing events on Tuesday through Friday every week.